Get a taste of the exclusive nightlife and high stakes entertainment that the exciting city of Shanghai has to offer in the highly anticipated new slot game Shanghai Lights from Real Time Gaming at Slots of Vegas Online Casino. 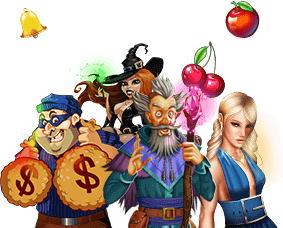 Sign up now with a minimum $50 deposit to receive a 250% Bonus and 50 Free Spins with coupon CITYNIGHTS. The Wild triggers line multipliers and double wins during free games; hitting three of the Coins scatter symbols activates the Shanghai Lights Free Games feature for a chance to win big payouts and the upgraded Super Spin bonus. The top prize is 50,000 times the bet per line! Shanghai Lights is a 5-reel, 50-variable payline online slot, which gives you plenty of chances to win free games and prizes on every turn. You can change the paylines from 1-50. The coin size is also adjustable, allowing you to customize the bet size to suit your bankroll. Shanghai Lights is designed to accommodate both penny slot enthusiasts and those who like to spend a little bit more on each spin of the reels. A 5-reel title with 50 paylines makes it possible to keep the wagers for the game low or go high if your bankroll allows. The Autoplay feature is convenient and easy to use; just set a bet level, determine how many spins you want to play, and enjoy watching the scatter symbols appear to earn free games with doubled prizes with each win. Wild Symbol: Wild Wilds count for any symbol except for scatters. Wilds appear on reel 3 during normal play, and may appear on reels 3, 4, or 5 during the free game feature. When Wild appears it will replicate to cover all positions on the reel before any pays are awarded. Wilds also double prizes on a win during free games. Scatter Symbol: Coins The appearance of three scatters activates the free games feature, which allows for 5 free games and doubled prizes. As many as 5 consecutive free games may be awarded with retriggers.